The economic concepts presented in Managerial Economics show students how to use quantitative methods and economic analysis alongside common sense to better understand business and address managerial problems. The text's unique integrative approach demonstrates that important business decisions are interdisciplinary and must involve collaboration between multiple business functions. 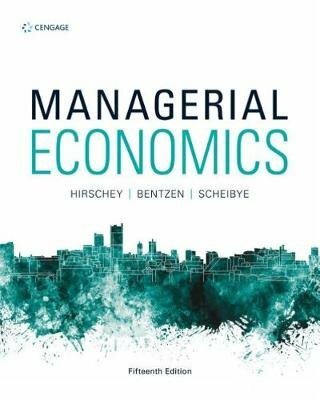 Including updated real company cases and examples, the 15th edition of this text demonstrates how economic concepts and tools can be applied to real organisations and management situations.